What should be considered when getting a child's passport after divorce? When you're divorced, there may be concerns about whether the other parent will take the child out of the country. You may also be wondering if you and your children can vacation overseas without having to get your ex's consent on the passport. Below you can find out more information on how to obtain a passport for your child, request a passport issuance alert if necessary, and what you should do if you're worried about international parental kidnapping. 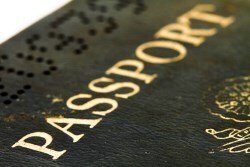 It is becoming more and more common for children to have passports. Some families routinely travel overseas on vacation, others have family abroad, and many apply for passports to comply with border crossing rules into Canada and Mexico. When you're divorced or separated, the issue of a passport for your child can become a delicate one, particularly if you are concerned about parental kidnapping. Signatures of both parents are required to obtain a passport for a child. An exception to this rule is if you have sole custody-then only your signature is needed. It's also possible to get a passport for your child without your ex's signature in a case where it is determined that the passport is needed for your child's health or welfare or when there are special family circumstances. These situations would require a court order. In general though, you do need two signatures to apply. If you want to take your child on a trip outside the country and your ex won't sign the application, what do you do? You should talk to your attorney, but your most likely course of action will be to petition the court to order your ex to sign the application. Your ex could state that he's concerned you will abduct the child and if he can offer any kind of proof, you could be asked to post a bond to ensure that you will come back, but that is a rare occurrence. If your ex wants to take your child out of the country and you disagree, you can refuse to sign the passport application. If your child already has a passport and you have the actual issued passport after divorce, you could refuse to let your ex have it. It's likely you'll end up back in court, but if you have real fears about abduction, you should share them with the court and ask for protective orders preventing international travel. If you're in a situation where your child does not have a passport and you are concerned your ex is going to attempt to get one and take your child out of the country, you should register with the Children's Passport Issuance Alert System. Once you register your child with this program, a passport cannot be issued without contacting you first. An important fact is that you can enter your child's name in the program even if you do not have legal custody of your child. If your ex has sole custody, it is likely the passport will be issued, however you will have some notice. If your child already has a passport, you can still enter him into the system so you will be notified if a new passport is applied for, or if the old one is going to be renewed. If your child has dual citizenship with another country, you can send a letter to that country's embassy in the U.S. asking them not to issue a passport. They are not required to do as you ask, but some countries will do so. If you have serious concerns about international parental kidnapping, you can request that the court or an attorney hold your child's passport after divorce and that all requests to travel must meet with court approval. Make sure that your custody decree specifically prohibits international travel without permission of the court. You should also ask your attorney to be certain that your decree includes the terms of the Hague Abduction Convention which apply should an abduction happen. If you have real concerns about international parental abduction, you need share them with your attorney and with the court. If your ex has family or important contacts outside the U.S. and has made threats, you may have real basis for concern. Prevention is key.